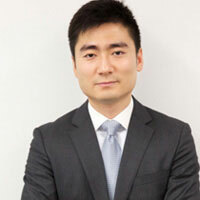 Guo Dong is the Associate Director of the Research Program on Sustainability Policy and Management at Columbia University’s Earth Institute, where he is also a postdoctoral research scholar. Dr. Guo serves as a Lecturer in Discipline in the School of International and Public Affairs and the School of Continuing Education at Columbia University, where he teaches Quantitative Methods and Economics for Sustainable Development to policy and management students in sustainability. Dr. Guo received his PhD in Economics and Education from Teachers College, Columbia University, an MPA from Columbia University’s School of International and Public Affairs, and BSc in Economics from University College London. Dr. Guo’s expertise lies in impact and evaluation methods and his dissertation focused on the labor market returns to public education spending in China. His research interests include labor economics, sustainable development, sustainability metrics, and environmental policy, and he has conducted many researches on China, including evaluation of sustainability capacity building programs. He is currently leading a research project on urban sustainability metrics with the China Center on International Economic Exchanges.